Supreme Hospitality is one of the leading catering services based in the heart of Mumbai. It brings an enriching culinary excellence to any event. However they specialize in weddings, private parties, corporate and customized holiday parties. No matter what type of event you're planning, they can create a memorable gourmet experience that brings together delectable tastes, presentation and atmosphere to create an event unlike any other. Additionally, they boast of an impressive list of Corporate Clients across Mumbai & Navi Mumbai. They are well known for their commitment to deliver quality at all times. Supreme Hospitality is a caterer based out of Mumbai . Supreme Hospitality's telephone number is 76-66-77-88-99, address is Vikram Apartment, Eksar Road, Govind Nagar, Borivali West, Mumbai, Maharashtra 400091, India. 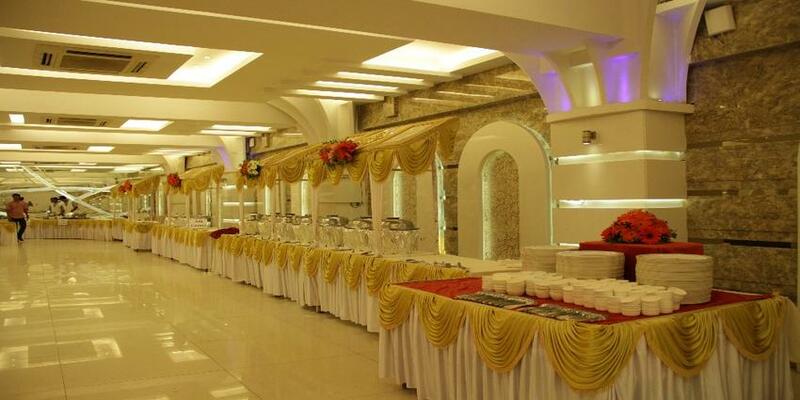 Supreme Hospitality is mainly known for Wedding Catering, Party Catering , Marriage Catering Services. In terms of pricing Supreme Hospitality offers various packages starting at Rs 500/-. There are 0 albums here at Weddingz -- suggest you have a look. Call weddingz.in to book Supreme Hospitality at guaranteed prices and with peace of mind.